Ask anyone what’s the one animal they’d like to see in Hawaii, odds are, their answer will either be 1) dolphins or 2) turtles (which locals call honu). Unfortunately, most visitors have no idea where to see either of these lovely sea creatures! So to help out with half of that situation, I’ve decided to write about where to see turtles on Oahu! Stay five to ten feet away from them. They’re an endangered species, so all it’ll take is a slightly stronger current to shove you into them (which we don’t want, because it might hurt the turtles). You don’t like to be stressed out, so the sea turtles don’t like to be stressed out. Don’t chase them and stress them out please. Bottom line: be nice to the sea turtles and respect their space bubbles. When Should I Go See Turtles on Oahu? There isn’t really a “turtle season” on Oahu like there is a “whale season.” However, we do know that the turtles don’t like big waves, so try to go on calmer days. Check the wave size here. So What Do I Need to Bring To See Turtles on Oahu? The gear that you’ll need to bring to see turtles on Oahu will definitely differ based off of the location. Sometimes you’ll just be able to walk up and see them. Other times, you’ll go for a bit of a swim. This list is for the swim options (I will clarify below), as those are the only one’s you’ll need to bring gear for. -snorkel gear (a.k.a. goggles and a mouth piece): these will just help you find the turtles more easily and stare at them for a longer period of time without needing to come up for air. Or if you’re like me, and you really hate the mouth piece, you can do without it too. -fins: sometimes you’ll have to swim out kind of far to really see the turtles paddling around, so some fins will definitely help you out. –reef-safe sunscreen: we want the fish, turtles, and reefs to be able to live long, healthy lives, and most sunscreen brands that we currently use actually harm them! Stream2Sea, Raw Elements, and Kokua Sun Care Hawaii are just a few brands of reef-safe sunscreen. -waterproof camera: you have to capture these stunning moments, and a non-waterproof camera just won’t work! The GoPro HERO5 is a good go-to, but if that’s more than you’re willing to spend, the AKASO EK7000 is a great alternative. -Optional-The Book of Honu: this easy-to-understand book about Hawaii’s sea turtles can give you (and perhaps your children) a little more knowledge of these fantastic ocean creatures. Ok, I’m Ready! Tell Me Where to See Turtles on Oahu! 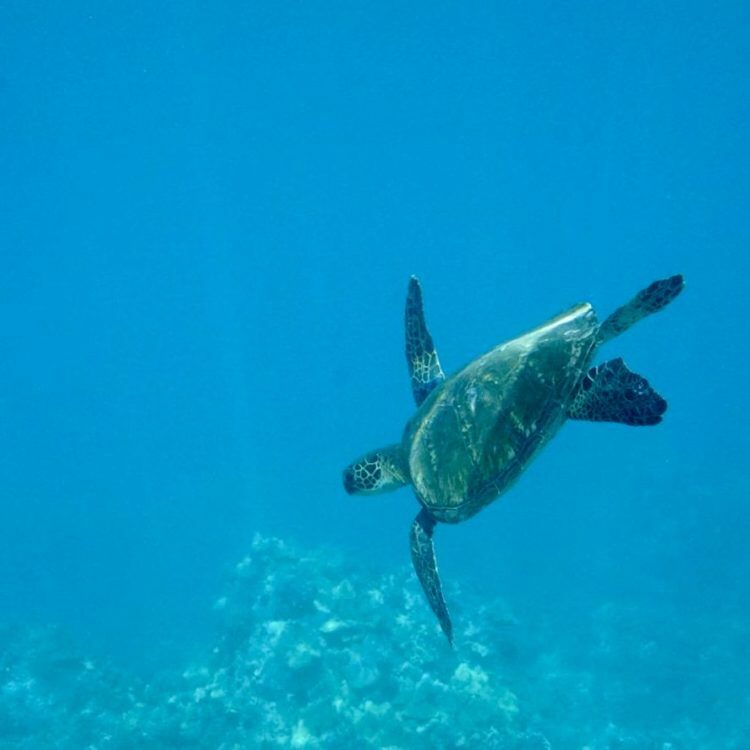 The best places to spot turtles on Oahu are actually on the West side and North Shore of Oahu, so if you’re staying in Waikiki (which is in the southeast), be prepared to figure out that transportation situation. If you don’t have a car, the island’s public transportation system, The Bus, does its job pretty well. Surprisingly, Turtle Bay on Oahu does not have any turtles, so don’t be fooled by this misnomer! Laniakea Beach on the North Shore of Oahu is definitely the easiest place to see turtles on the island. It’s so easy that it’s actually be dubbed Oahu’s “turtle beach” or Oahu’s “sea turtle beach.” Honestly, it’s such an enjoyable experience that I added it to my Ultimate Guide to the North Shore, Oahu. There was only one time I went to Laniakea Beach and didn’t see a turtle. Plus, if you aren’t the best swimmer, this is the one location where you don’t actually have to get in the water to see the turtles! They are pretty much always lounging around on the sand. While there are probably some turtle friends swimming in the water too, the rocks in the area don’t make the area super ideal for swimming, especially considering the fact that you can see them on the sand. 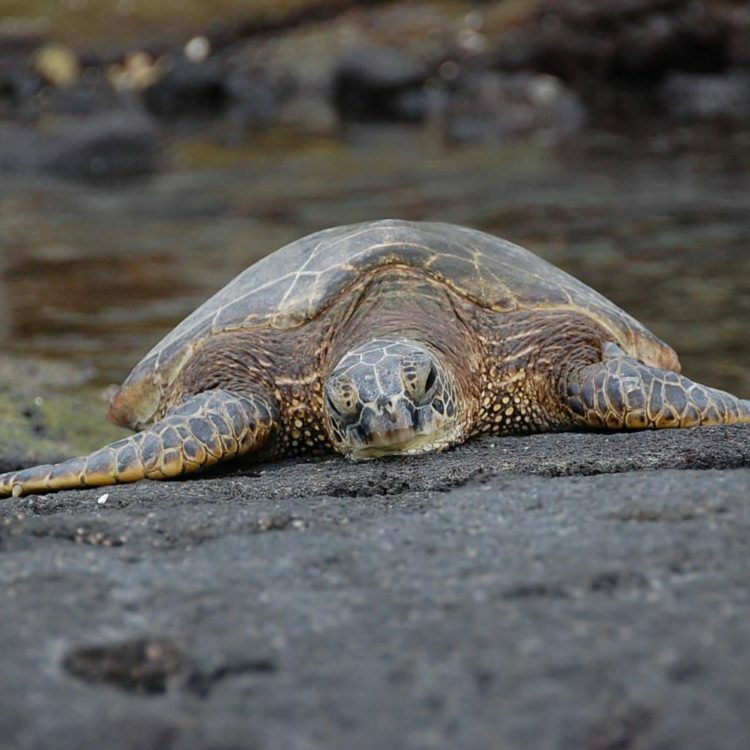 Know that there are volunteers at Laniakea Beach to make sure people do not harm the turtles. These volunteers can also answer any questions that you may have about turtles! There is no official parking for Laniakea Beach, but everyone just parks right across the street. *Tip: If you want to stay ashore, but want to spot turtles in the water, I’ve found that its easiest to spot them when they get caught up in the little waves (as opposed to trying to spot them when the water is flat). *Warning: Do not walk on the algae-covered rocks here to get closer to the turtles. That’s the food that the turtles eat when they are chilling on land. If you step on the turtle’s food, they won’t want to come to this amazing beach anymore! Haleiwa Harbor is another location where you won’t exactly swim to see turtles on Oahu – and this time, they’re not laying on the shore either. This time, the easiest way to see them is by stand-up paddle boarding or kayaking. There are tons of little shops or vans along the harbor where you can rent paddle boards or kayaks by the hour or the day for some pretty decent prices. From the little harbor area, there’s a small river to the side that goes slightly inland – the turtles like to hang out there (I’ve never seen anyone swim there, just by the way). Watch for their heads to pop up each time they come up for air! 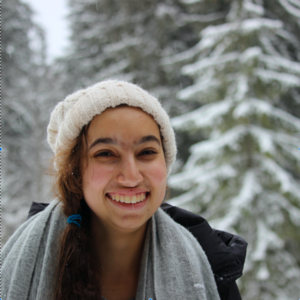 If you’re interested in the kayaking option, here is a post with some information to help you on your adventure! There is a little parking section for Haleiwa Harbor, so that situation is quite convenient. This sea turtle-spotting location on Oahu was the place I chose to write about in my very first post. Located on the west side of the island in a little tourist pocket called Ko Olina, this little lagoon was quite a secret when I wrote about it over two years ago. Now, not so much, but it’s still a great place to spot some turtles. The lagoon is also super shallow, so, for the kiddos, it’s definitely the best place to see turtles on Oahu. To get to this secret lagoon, set your directions on Google Maps to “Lanikuhonua.” As you pull up, you’ll come to a parking lot that looks like it has no access. If you drive all the way up to the chain or bar that’s blocking your access to the rest of the parking, you’ll notice that there’s a small area to your right with about a dozen stalls that you can park in. If you’re lucky enough to find a parking space, head to the far end of the parking area (opposite of where you entered). Follow the small sidewalk for a bit until you come across a sandy path on your left. Walk on this sandy path to the end until you reach the secret turtle-filled lagoon! Electric Beach got its name, because it is right across the street from an electric plant. This electric plant makes it so that the water at Electric Beach has some randomly warm currents, which the turtles appreciate (and so do other fun sea friends, like stingrays and dolphins). This beach is definitely the turtle-spotting place where you’ll make the most use of those snorkel gear and fins. You’ll have to swim out pretty far to see the sea turtles. Plus, the water can get quite deep, so to see to the bottom, you’ll want that snorkel gear. There is a designated parking area for Electric Beach. *Warning: while at Electric Beach, the current can be very strong. To make sure you don’t drift too far without realizing it, you can triangulate yourself. That simply means that, when you get out to the water, pick two places on the shore to form your triangle. That way, if you’re out in the water for a while, when you look up, you’ll be able to tell which way you’ve drifted and how far you’ve gone. In my opinion, the best place to see turtles on Oahu is Makaha Beach. While you do have to swim out pretty far, the are no waves and the current is not nearly as strong as at Electric Beach. 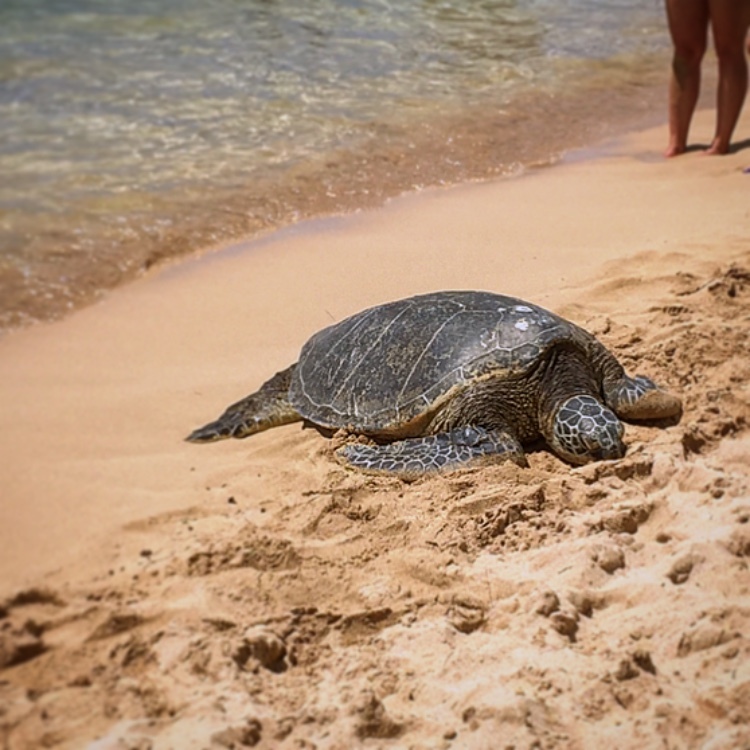 Plus, I think I’ve seen the most turtles in one visit at Makaha Beach (I want to say it was around six sea turtles). You’ll also have to make use of your snorkel gear and fins at this turtle-spotting beach. Looking for more interactions with Oahu’s sea creatures? Check out last week’s post on cage-diving with sharks! Did this post on where to see turtles on Oahu peak your interest? Pin it for later! What a great guide. I love sea turtles and would love watching themin Hawaii. Great reminders too about respecting the turtles. Sea turtles are adorable! This reminds me of wonderful times scuba diving in Maui with the turtles. Thanks for sharing! Of course! Glad you got to have that experience on Maui! I love this post so much! I actually have the phrase “find sea turtles in Hawaii” on my bucket list. 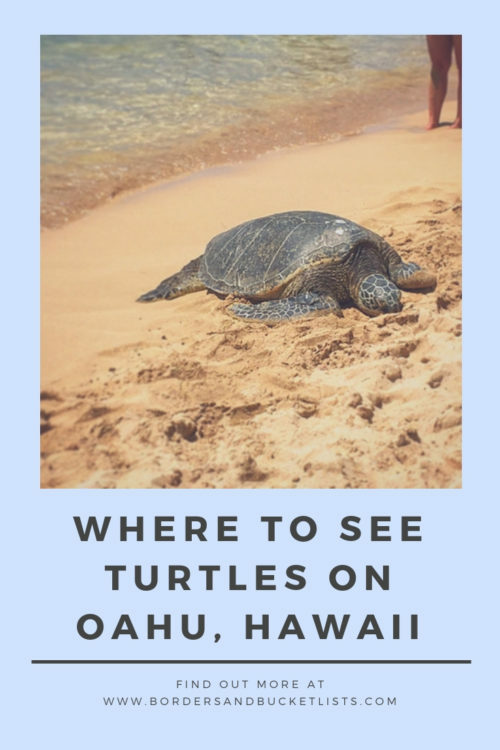 Thank you so much for this guide, I’m going to bookmark it for the future day when I can finally make my dreams come true and safely peep Hawaiian turtles. OMG YES!! It makes me so happy to know that my tips will help you check something off of your bucket list. ooh that’s a fun little fact to know about Hawaii’s turtles! Thanks for sharing! Is the KoOlina secret lagoon between Lagoon 1 and Paradise Cove? When I mapped it to Lanikuhonua there were s few options. Is any particular time of day best? Thank you sooo much! Yup, between Lagoon 1 and Paradise Cove! I recommend earlier in the day (like around 8:30 a.m.), so that way you can guarantee a parking spot. Usually by 9 or 9:30, the parking is already full. Sometimes there might be the sound of yard work until about 9, but I think 30 minutes of lawn mower sounds is fine if I can go to this beautiful lagoon :).